2 hours 24 reasons to tune in and get yourself emotionally involved with Dirty Disco 299. 136 mins Free Music Monday & Explicit Content in Dirty Disco 298. Hi everybody, it’s good to be back this week with a new episode, and it’s going to be a good one. Last weeks mixed playlist filled with Dirty Disco & Deep House tracks was very well received by many. So thank you very much for listening and tuning in with me. This week i stumbled up on many dope Disco grooves, as soon as i started mixing these tracks together i found myself stuck in the mix and i couldn’t get out of it. That’s why you can listen this week to a extra long episode filled with 29 Nu Disco essentials in a dope DJ mix in Dirty Disco 294. This week in Dirty Disco 294. Just like every week i check the promo’s that are e-mailed to me. And i have my weekly ritual in finding new music on the web. That’s why every week and every single episode of Dirty Disco is a bit different than the previous. Sometimes it’s more Disco oriented, and sometimes more towards the Deep or a bit more House Music. Even though i always try to find a balance in these music genres to create a harmonized Dirty Disco DJ mix. filled with a balanced combination of Nu Disco, Deep House, House Music and Electronica tracks. It can occur that a episode is merely focused on one of these genres within the electronic dance music genre. As an example i can take episode 292 where dreamy atmospheric deep-house towards deep tech-house took the overhand. Last week in episode 293 i already played a couple of more Nu Disco tracks, but this week it’s a real Disco party here in the studio. This week we do not only have a extra long episode with an additional 40 minutes of music. But it’s filled with 29 Nu Disco essentials in a smooth DJ mix. Among those Disco vibes you can hear variations in Disco, Funk and soulful house. Zouk, Brazilian funk, African Disco and and rare funk grooves are making you body shiver and shake. 29 Nu Disco essentials in a tight DJ mix. That’s right! I saw, i curated, i mixed. And i couldn’t stop mixing. It was quite hard since my selection contained 114 curated tracks. Among them there were plenty of deep house tracks. But since i started with that Nu Disco sound, i kept selecting Disco after Disco and made a smooth DJ mix with nice transitions, as i say for myself. Filled with 29 Nu Disco essentials. To be honest that’s not completely true. The last 3 tracks are deep house tracks with two of them being from Matthieu Faubourg. But the rest definitely contains some sort of Disco, Funk or Soul. Now that you know that there are 29 Nu Disco essentials coming your way in this weeks music selection and DJ mix. I completely understand that you are getting curious about which tracks that are? Well, like every week and every music podcast episode. I included a playlist in the bottom of this post. Next to the full playlist of Dirty Disco 294, i will feature a few EP’s and albums with additional info. Are you looking for soulful and discofied house music with a touch of deep house. You might want to check out and listen to the latest release on the German LTDWLB label. 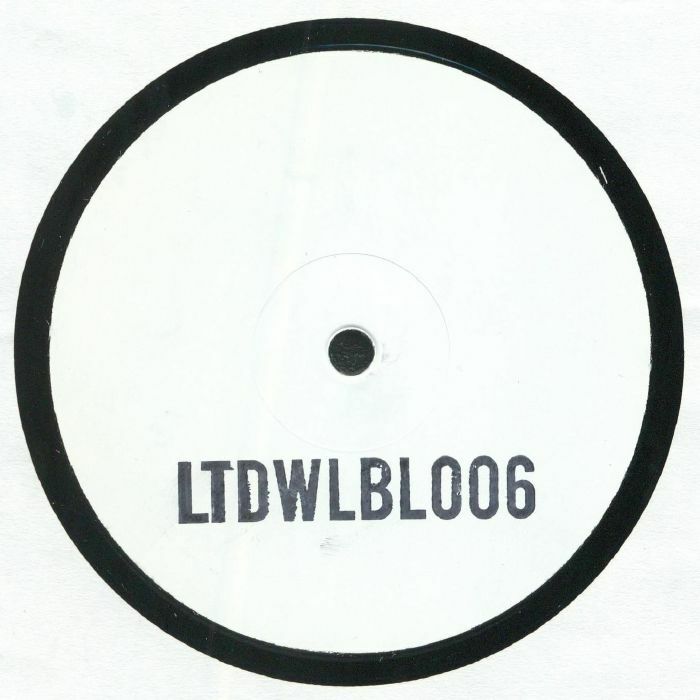 Their latest EP titled: LTDWLBL006 includes 4 very smooth tracks from Honeydripper, Chevals, Hurlee and Paul Rudder. All four tracks are dope and included in this weeks selection of 29 Nu Disco essentials. Good news for vinyl lovers, the EP is available as a limited hand-stamped 12”. More information on this release can be found here on Discogs. Eli Escobar – Nightshade Edits Vol 2. Not only Kenny Dope is a popular House music producer from New York City. Another great artists from this big city that we frequently play here in our podcasts, is Eli Escobar. Eli is known for his tight House music productions and remixes with a somewhat unique approach. That uniqueness can definitely be heard on his latest release on the Night People NYC imprint. His latest EP titled: Nightshade Edits Vol 2, includes 2 very dope tracks that i both included in this weeks playlist. The first track is ‘Africa’ Where the main focus lies on the laid back soulful male vocals and a smooth piano. There is some percussion going on in the track, but there isn’t a real drumbeat. Even-though the track has a proper groove and therefor all with all a real unique sound, that makes the track perfect for a bit set-warming or as an encore. The second track ‘Take It From Me’ has another approach and can be used about anywhere in your DJ set depending on your DJ style. 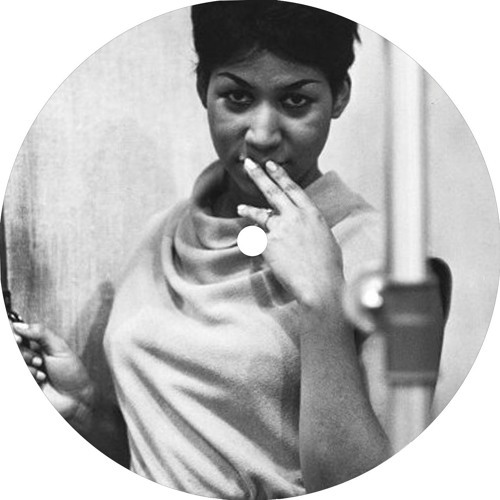 You might recognize the famous gospel vocals with Aretha Franklin on top, leading everything with her beautiful and powerful voice. Accompanied by a nice 80’s sounding vocal house beat and bassline this track is a real groover. The 12” is sold out on most websites. But i found a website here where it’s still available. Happiness Therapy Split Vol 3. Nowadays good music is coming from everywhere around the world. Where once The Netherlands was famous for it’s Dutch House Sound, France was famous for delivering that Filtered Disco House like Daft Punk and Cassius where real heroes in. Even-though music is from all around the world and our universal language. For this release we go back to France to the Happiness Therapy Label and their latest release called ‘Happiness Therapy Split Vol 3’. This new EP is just a perfect representation for the Dirty Disco sound, as it includes both that Deep Disco sound from the often in our podcasts played producer ‘Black Loops’. 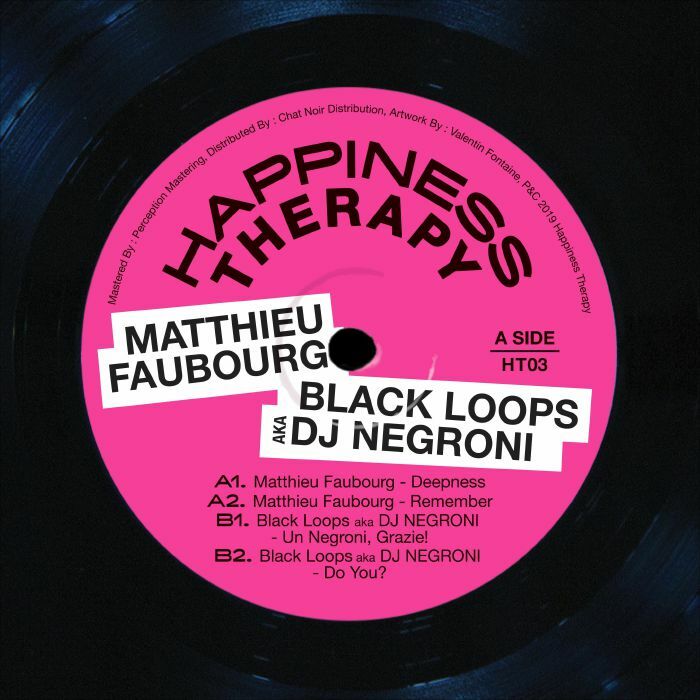 And that beautiful smooth Deep House music from another frequently played producer ‘Matthieu Faubourg’. Happiness Therapy Split Vol 3 is a rich combination of Deep Disco and Deep house like you are used to here in our weekly music selections. This time and we don’t really know why Black Loops renamed himself to Black Loops aka DJ Negroni. But still brings you his unique deep disco house sound. Matthieu brings pure deepness with his track ‘Deepness and another track ‘Remember’ That includes an 80’s kind of arpeggiated sound together with a cool vocal stab, pads, dope percussion and a short fat stabbing bassline. The Happiness Therapy Split Vol 3 EP just came out on the 8th of February and you can order it here as a 12” on Juno. Berobreo – What Can You Read On It’s Thoughts. Last but not least brings us to a Russian release on a label called Sundries. This is his 3th release on this very young label, and this time the productions are made by Berlin based producer Berobreo. If you are in need for something funky and pure. 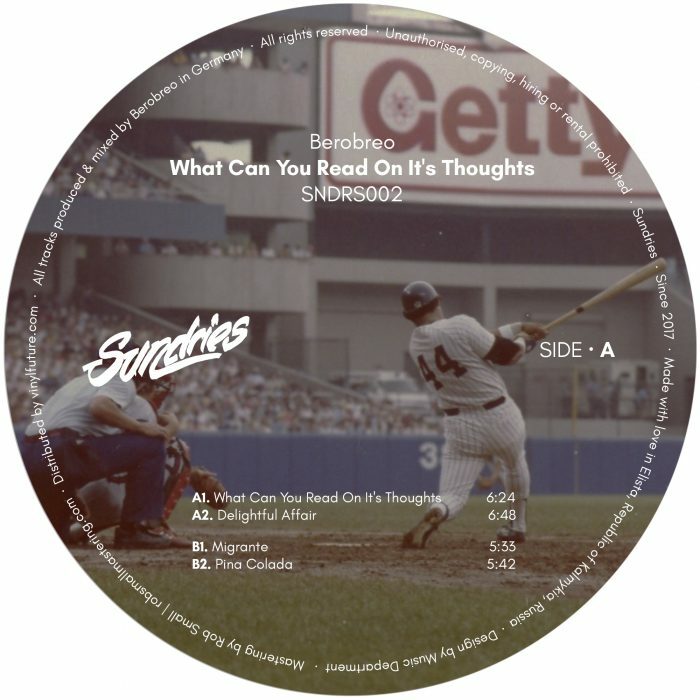 Don’t look any further, this EP called ‘What Can You Read On It’s Thoughts is nothing but pure funk from the beginning to the end. It starts with the main title track that is a combination from jazzy influenced house music with that real retro sound to it. Dope vocals finish the track completely and make it a real dance floor filler. Other tracks like Pina Colada, Migrante and Delightful Affair share that same dance floor filling sound. Groove and funkiness are the keywords in this release. Influenced by Disco, Funk, Jazz and soul makes this EP by Berobreo one we couldn’t leave out of our 29 Nu Disco essentials for this weeks playlist selection.Just like 99% of this weeks music selection this EP is available on vinyl and can be ordered here. That’s it for this week, I could go on with featuring dope music. But i have some other priorities as well. Maybe one day when Dirty Disco is a worldwide established brand and has a good income stream we could feature and review music 7 days a week 24 hours a day. Until that time we have to keep Dirty Disco living from your donation, gigs and support. I hope you enjoy this extra long episode. Feel free to get in touch with me. Playlist selection – Dirty Disco 294.